The U.S. Postal Service is releasing scratch-and-sniff stamps next month. Ten varieties of the stamps will be available in sheets of 20. Each stamp shows two types of icy pops on sticks, including some with two sticks, which the Postal Service reminds us makes them "perfect for sharing." The stamps will be released to the public next month at Thinkery, the children’s museum and activity center in the Mueller development. Leah Thornton, Thinkery's associate director of membership and donor relations, says the Postal Service wanted to emphasize the summer fun of youth in America. A ceremony is planned for the first day the stamps are issued at 6 p.m. on June 20, the day before the official first day of summer. Frozen treats will be provided by Steel City Pops. The U.S. 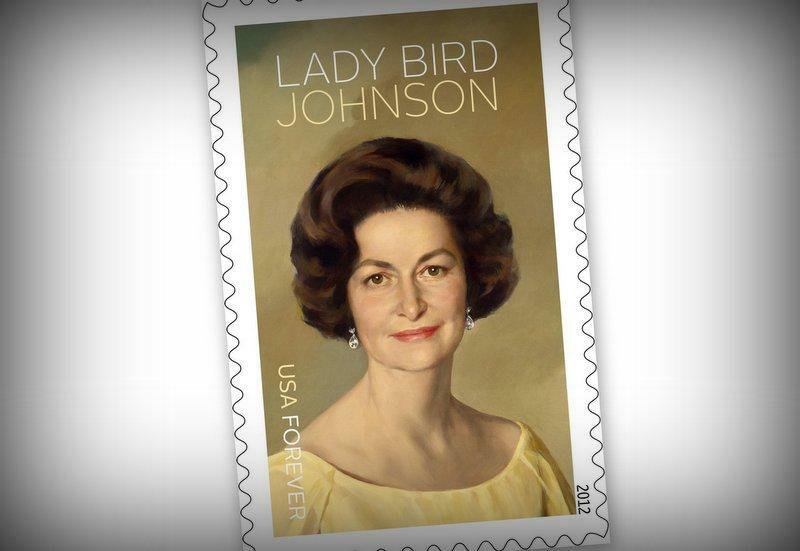 Postal Service unveiled new stamps Friday honoring Lady Bird Johnson. The First Lady would have celebrated her 100th birthday next month. The set features Johnson’s official White House portrait along with adaptations of five stamps first issued in the 1960’s. Those commemorate her legacy for preserving nature and beautifying cities. The Lady Bird Johnson Wildflower Center hosted a dedication ceremony for the stamps today. The center's officials say it's an important honor for Johnson and one that she deserves.